Reading is as important to the development and expansion of the mind as food and water are to the body. in fact, the ability to read is every child's birthright. Through reading, a child grows both in mind and in imagination developing esteem, academic prowess, critical thinking, and creative thinking. Through reading, a child learns to make meaning of the world and to communicate and act on that meaning. Cosmos Literacy's emergent reader product Felipe's Sound Search is designed for children in preschool through grade 2. We support learning through scientifically proven content and instructional strategies. 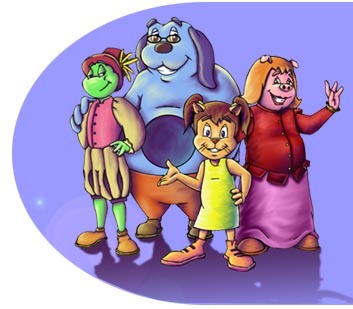 Felipe, Phoebe, Nat, and Pip will guide students through their journey to literacy.students will be immersed in a world of whimsical rhymes, rich graphics, music, and audio while developing critical reading skills. currently, sound and sense is piloting at several elementary schools and head start programs, where we are conducting collaborative evaluations on student outcomes; specifically, increases in the student reading abilities. read more about our methodology, analysis, and reporting of results.